Perched on the rocks overlooking Narragansett Bay. 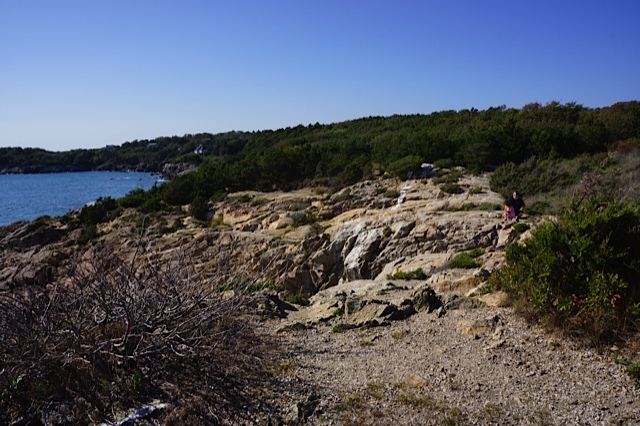 Not everyone may think it’s a wise idea to drag their one- and five-year-olds up a jagged cliff overlooking a 100-foot drop to the ocean, and I can’t disagree. Nonetheless, we did exactly that yesterday at Forth Wetherill State Park in Jamestown, RI. Here, there are no fences or barriers to rely on, just common sense. Geoff liked that — it’s very European, he said. 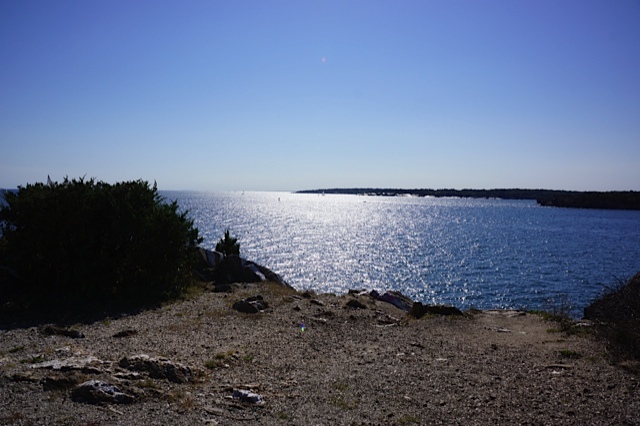 The view from Fort Wetherill State Park in Jamestown. From the peak, you can see a wide expanse of Narragansett Bay and Newport Harbor — yesterday the water shimmered so beautifully that our five-year-old said “I wish I could paint that.” As for our one-year-old, it took a good deal of cajoling and wrestling to keep her from careening over the edge. No wonder my back hurts today. Still, you can’t beat the view.